This project was partly match-funded by the Exeter Alumni Annual Fund & Santander Universities UK. We are raising £36,000 to create the Graduate Entrepreneur Maintenance (GEM) Fund to support our Graduate Entrepreneurs when taking their business to market after finishing University. This is a critical time when they have little or no financial support, no space to work from and move away from their local support network. 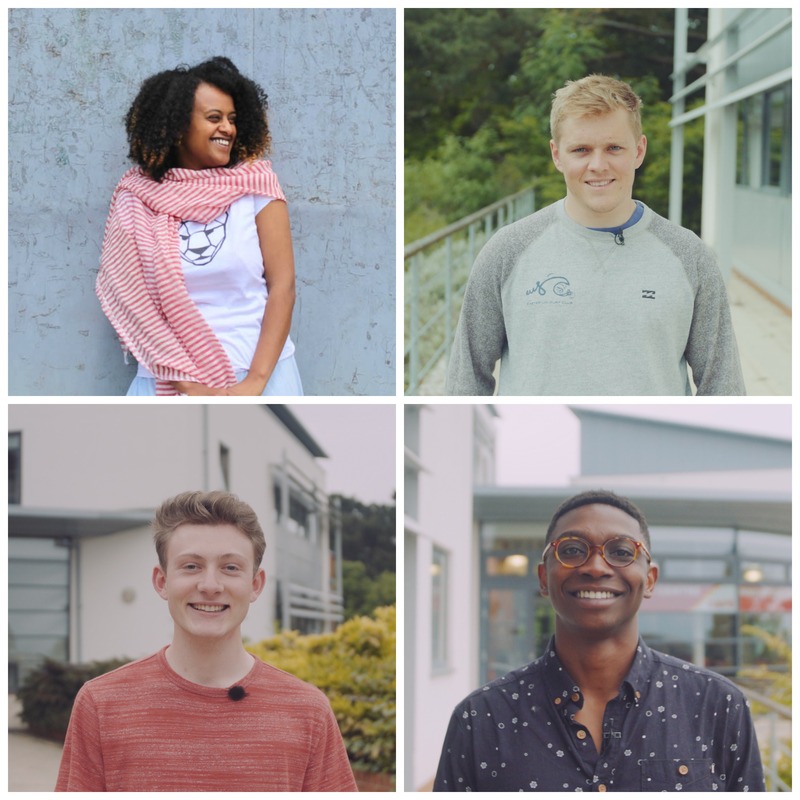 We are Think•Try•Do , a collaborative student start-up support programme delivered by a team of dedicated and enthusiastic advisers and consultants at the University of Exeter. The programme focuses on identifying and fostering the start-up ambitions of our students by giving them the chance to develop enterprise skills, as well as the opportunity to start their own company. Think•Try•Do provides training, guidance and support, as well as funding opportunities to promote and enable entrepreneurship in Exeter. In 2017/18 we ran 2 start-up weekends, 42 workshops, 785 event participants and held over 260 1-1 appointments. Over 1,200 engagements with both student and graduate entrepreneurs across the last 12 months clearly demonstrates the appetite and enthusiasm among our community for exploring an entrepreneurial pathway. We work with tech startups, social enterprises, product designers, artists and athletes and we engage with students across all colleges and disciplines. Over the coming weeks, months and years, we are dedicated to continue widening access to our programmes across all disciplines and to continue building on the programme’s success. Over the course of the last few years Think•Try•Do has successfully identified and supported a number of start-up ideas coming from students who were still studying towards their degree. We are very proud of those who, regardless of the many hurdles, made it to market after graduating, and turned their ideas into profitable businesses – here are just a few examples. For all these success stories, we know that many of the great ideas and people that we discover in our student community leave their entrepreneurial pursuits behind just months after graduating. Family and peer pressure, financial strain, loss of support and advice networks, force many of our graduate entrepreneurs to find a job in the capital or move from the region in search of new networks or opportunities, depriving Exeter and the South West of huge business potential. Why is your support so important? In September, we will be opening an Incubation Space on the Exeter campus, to offer our graduate entrepreneurs rent-free space to work from. Secondly, we are launching a new initiative called the "GEM Fund" (Graduate Entrepreneur Maintenance Fund) to provide financial support during those vital months after graduation, when fledgling businesses are at the highest risk of failing. With your help and donations there is so much that we can achieve. In addition to work space, Graduates will have access to mentors and skills training, an opportunity to work side by side with other inspiring talent and share knowledge and experience. In addition, the GEM Fund will alleviate that immediate pressure to generate income and give them time and space to develop a strong, profitable and sustainable business. Not only will we be able to keep our graduate entrepreneurs within their existing support network in the South West, we will also retain the skills and talent that we fostered through Think•Try•Do in Exeter, thus contributing to the Region’s local economy’s development and diversity. All funds raised will contribute to the Graduate Entrepreneur Maintenance Fund (GEM). Graduates will be able to apply to the GEM Fund and a panel will review and select the recipients. Successful recipients will base themselves full-time in the Incubator. In addition, they will have access to skills training, mentor networks and a hack-space, which is home to a wide range of new technology and equipment, encouraging further experimentation and innovation. 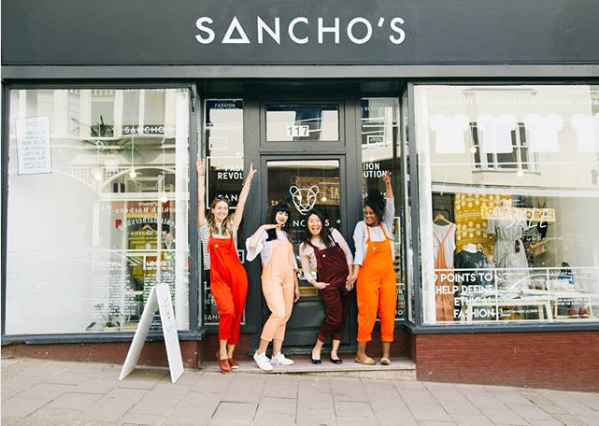 The GEM Fund is designed to cover the essential living costs associated with staying in Exeter post-graduation, easing the pressure of having to balance a full/part-time job with developing and launching a new business. We’ve estimated that a £50 donation will help us cover a day’s worth of living costs for one of our grant recipients. £250 will mean a whole week in the Incubation Space and £1,000 will be the equivalent of a whole month of time, support and guidance. Every single donation, large or small, will make a huge impact. Needless to say, we will be forever grateful for your generosity, but we also have some rewards we hope you’ll appreciate, to thank everyone who donates, whatever the amount you are willing or able to give. Please check them out on the right hand side. Do check out our video to meet some of our student and graduate entrepreneurs and to find out more about this campaign. For additional information, you can contact our team by emailing thinktrydo@exeter.ac.uk . In order to reach our goal, we need your help to spread the word about this project far and wide. We know it’s an ambitious target but we believe we can reach it. We are passionate about nurturing these young businesses, retaining amazing talent in the Southwest and bringing our dreams and ambitions, and those of others, to life! Please share a link to our page with anyone you think might be interested in what we are doing. In fact, share it with everyone you know! Let’s build the community and resources to put Exeter on the map as an exciting and viable place for young startups to grow and flourish! Thank you from the bottom of our hearts for all your support and stay tuned to this page for extended interviews and all the latest updates on the campaign. £50 will enable a Graduate Entrepreneur to spend a day in the Incubation Space. We will acknowledge all our donors through our social media channels and publications. You will be included in the circulation of our Think, Try, Do newsletter, and we will keep you up to date with all things start-up in Exeter. £250 will mean a whole week in the Incubator for one of our Graduate Entrepreneurs. On top of updates through our newsletter and a mention on our media and publications, you will receive an invitation to the formal opening of the new space in the Autumn where you will meet the team and some of the students and graduates we are working with. £1,000 will be the equivalent of a whole month of time, support and guidance. You will receive personal quarterly communications from the recipients of the Graduate Entrepreneur Maintenance (GEM) Fund to update you on the progress they are making and the challenges they are facing. We will invite you to the formal opening of our incubator space to meet the team and the grant recipients and explore the facilities. You will also receive special acknowledgements in our media and publications. £6,000 will mean a life-changing 6 months to launch a start-up and begin an entrepreneurial career! We will include you on our wall of fame as a prominent supporter of all things entrepreneurial, and will invite you to an overnight trip to Exeter to visit the incubator space as our guest, to present to our cohort of current student entrepreneurs (if you wish!) and to be guest of honour at a dinner with graduate entrepreneurs and members of the start-up support team.